Our second day of exploring west Bali took us to an area called Banyuwedang. 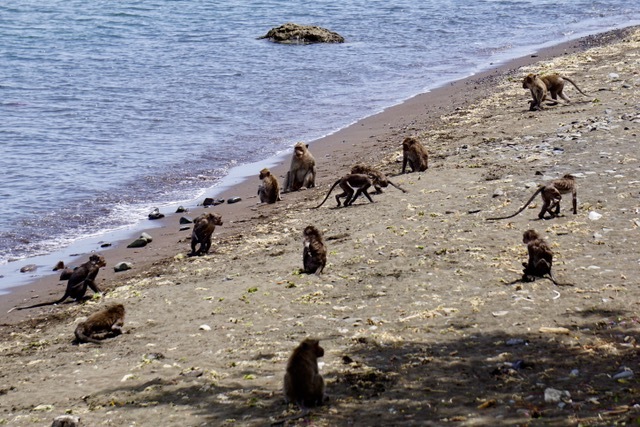 It is less than 2 km east of Pemuteran and is important in Balinese belief. 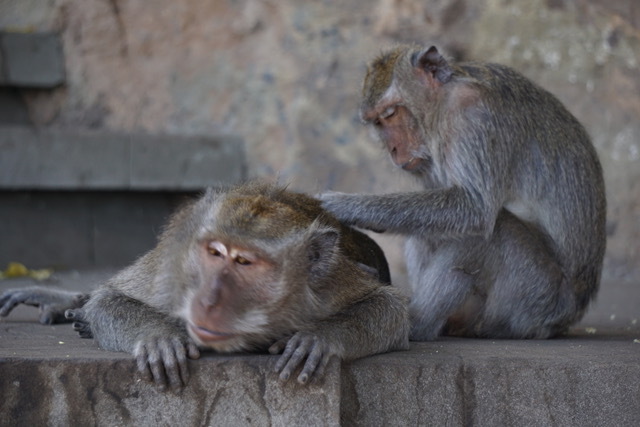 Folklore states that when the temple was founded by a 16th century priest, Nirartha, he was led by Macaque monkeys. 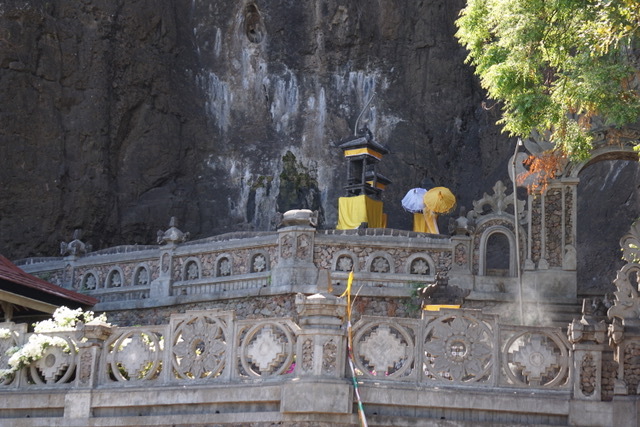 Out of respect for him, they settled as temple guardians, and continue to guard the temple today. 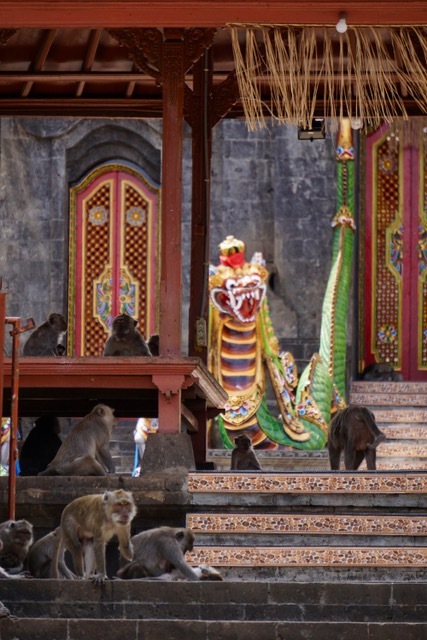 There are a few theories concerning the temples original use, one being that it served as a check point for Chinese seafaring merchants, while other theories state that it was dedicated to sailors and fisherman departing Bali – a place for final prayer prior to a voyage. 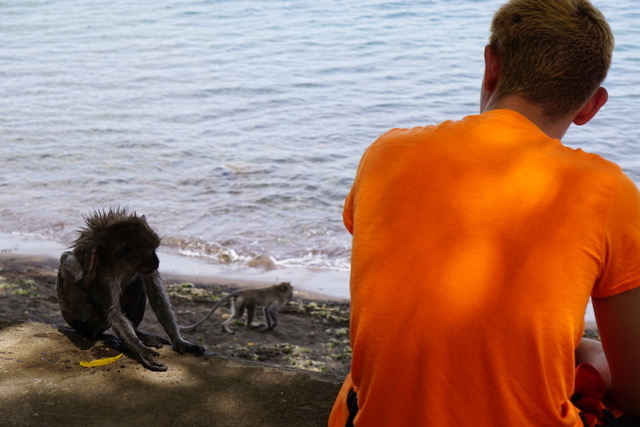 Spunky monkeys surrounded that area and showed far more attitude and aggression than other monkeys we’ve become acquainted with in Bali. As I approached the temple steps, I was met by an ornery cuss who showed me his teeth while being groomed by his girlfriend. As soon and I stepped farther away from him he relaxed once again. 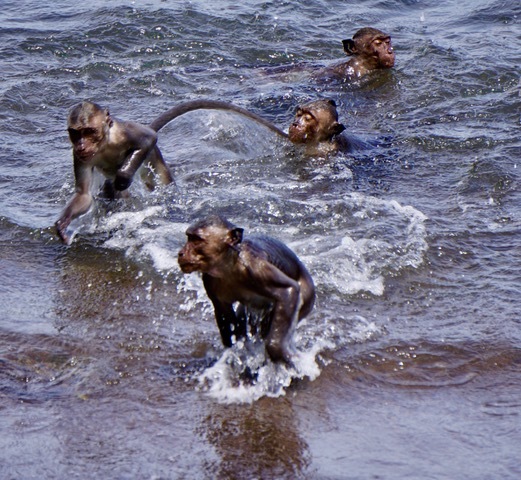 I’d always been taught that monkeys intensely dislike being in the water, but these guys were jumping in, diving down and swimming around. If you haven’t seen the video I recorded and posted to my Facebook page (Belinda Govatos), check it out! It cracks me up. 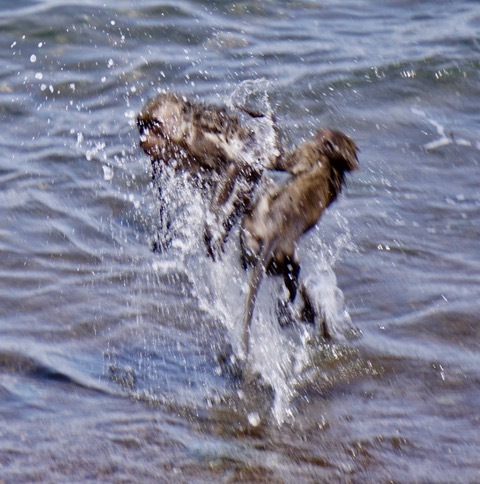 They jumped out into the water, then wrestled in the surf. After cooling off for a while, they’d walk their drenched bodies out, dry off, then jump back in again. We were all fascinated and watched them for a long time. 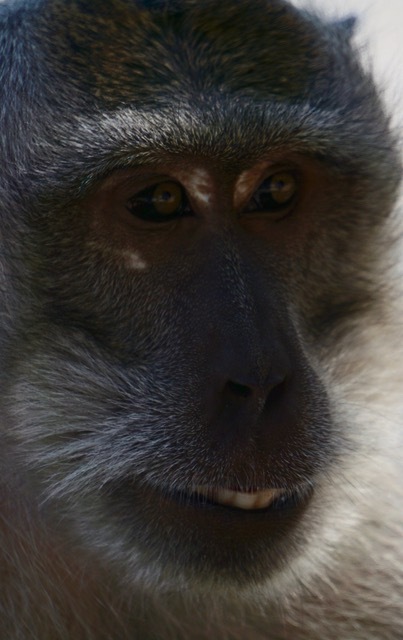 One of these sneaky little guys stole my 55mm camera lens and took it diving. I’m sure they have quite the stash of treasure buried somewhere there. Someday I’d like to enter the water a short distance away with scuba gear on and surface close to them and scare the bejeebers out of them! 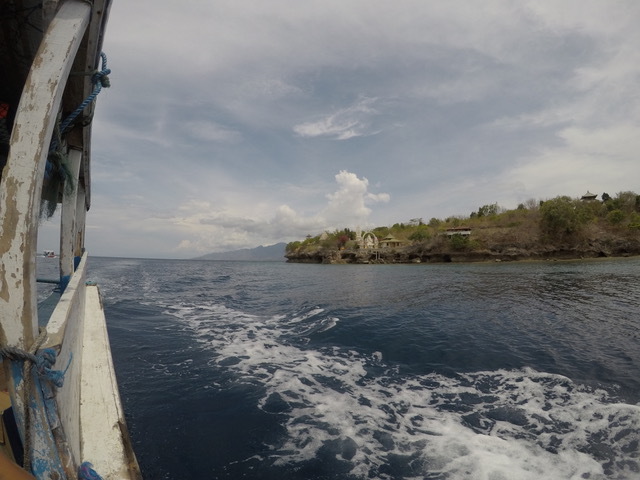 We drove to an area called Pemuteran, where we boarded a wooden boat and motored out to the island of Menjangan. 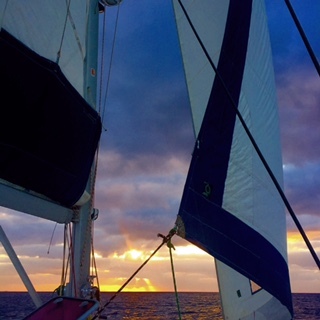 Aside from Jordan, we were a boat full of sailors, and it felt so good for us to be back on the water once again – even if it wasn’t on a sailboat. 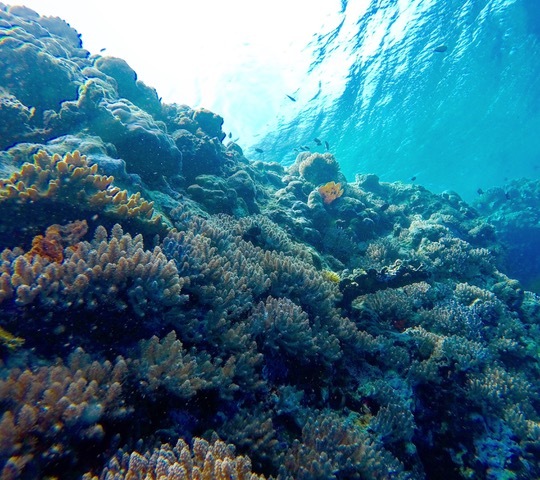 Dressed in our dazzling snorkel gear, we plunged into the coolness of the water and found ourselves instantly immersed in a wonderland of corals, fans and exquisite marine life. 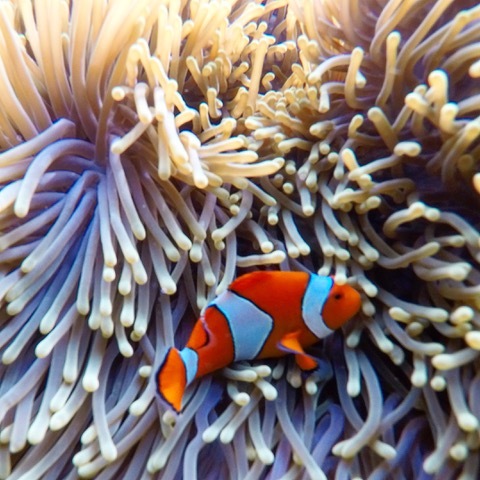 Anemones and clown fish in all colors and patterns were on the reef. It made me so happy to see the creatures enjoying the place they love so much. There’s just nothing like being in the ocean. 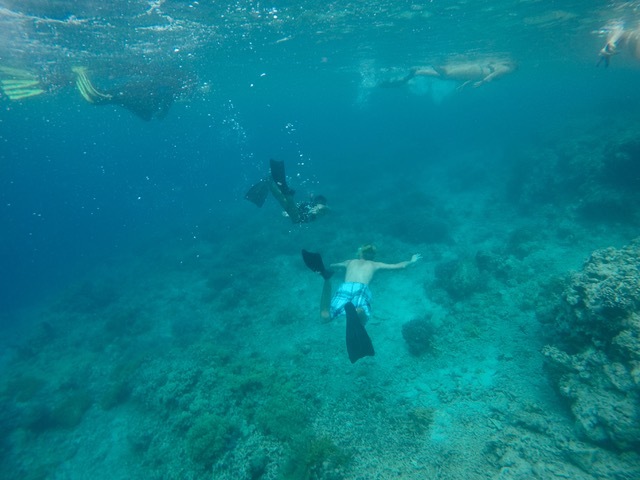 We swam with beautiful schools of sergeant major, tuna and raccoon butterfly, and past blue starfish and deep red sea fans. 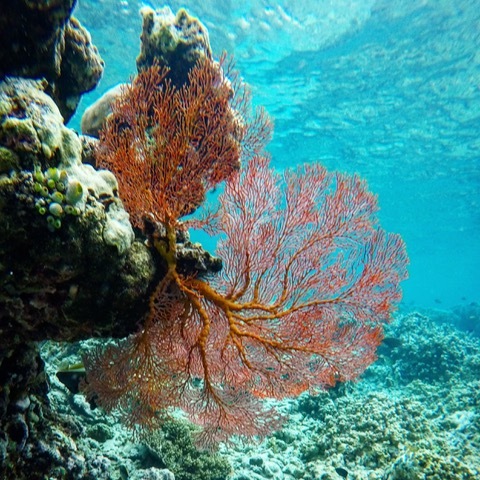 When we were on the boat I was talking to our guide about my love for the ocean and he told me that he is working on a project of rehabilitating dying coral and reintroducing it to the reef. He took us to see it but photos didn’t turn out because visibility was poor. He has large metal cages that have electric current flowing through them. 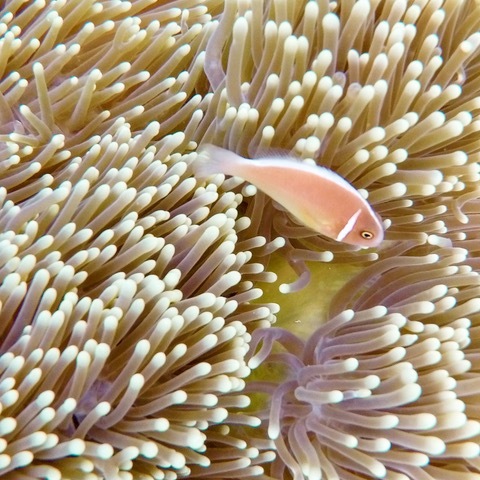 The current encourages calcium growth and the coral loves the calcium and grows beautifully on the cages. I grabbed a hold of the cage for kicks to see if I’d get shocked, but the calcium build up prevented me from getting shocked. Its fascinating. Not a day has passed since our shipwreck where I haven’t looked at boats online. Just to dream. I am grateful for our experiences now, but long for the sea.